BSNL has announced the launch of SMS based services for booking of Broadband and Landline complaints from mobile phone using SMS keywords. State run Telecom Company Bharat Sanchar Nigam Limited (BSNL) to ease customer services across the country and improve customer based services launched SMS based fault booking services for Landline and Broadband customers across India. Earlier this service is available from only BSNL mobile numbers on SMS short digit code 53334. 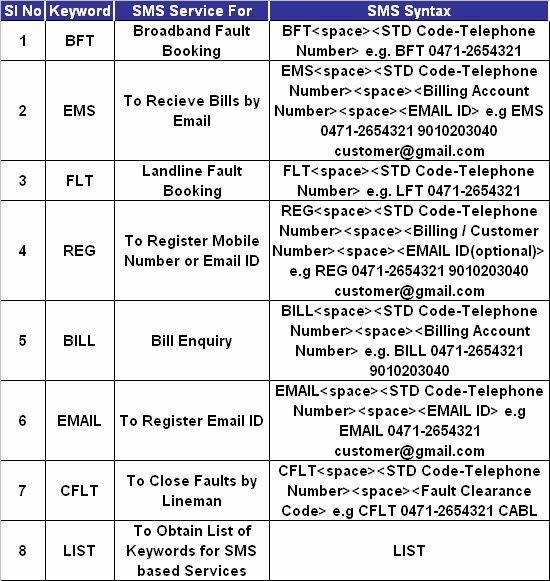 Now BSNL extended this facility from other operators mobile number also for Landline complaint, Broadband complaint, Bill enquiry, Registration of mobile number or Email ID are available from SMS based services send to 94780 53334. The above service will be implemented with immediate effect and this service is based on auto-generated for fault booking. Customer will receive acknowledgement reference number through SMS and for further follow-up procedure.